The HeadStrong Foundation and StylinStrings Lacrosse want your pocket to have a purpose. Strings for Hope is a project that does just this. 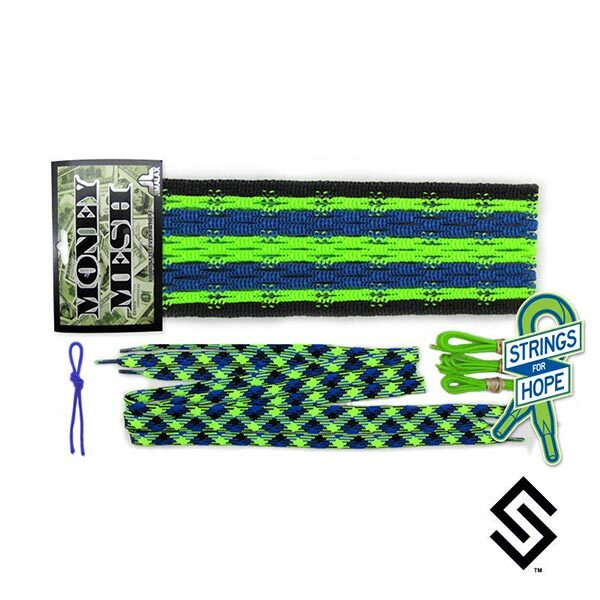 Look for the ribbon on all Strings for Hope Products and SSLax will donate a portion of all proceeds to the HeadStrong Foundation to help them fight against cancer. This kit features a custom mesh piece from our partners at Jimalax. Thank you to Jimalax for helping fight the good fight. This kit comes with everything seen here.